Released November 2009. 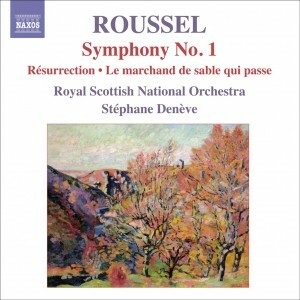 Résurrection, Roussel’s first orchestral work, is a delicate and mysterious piece inspired by Tolstoy’s last novel, while Le marchand de sable qui passe (The Sandman) is a tuneful, colourfully orchestrated suite. His Symphony No. 1 ‘Poem of the Forest’ traces the cycle of seasons from winter to autumn through its four movements. The orchestra plays marvelously with fine control and solo work as it adds an English accent to Roussel to fine effect. 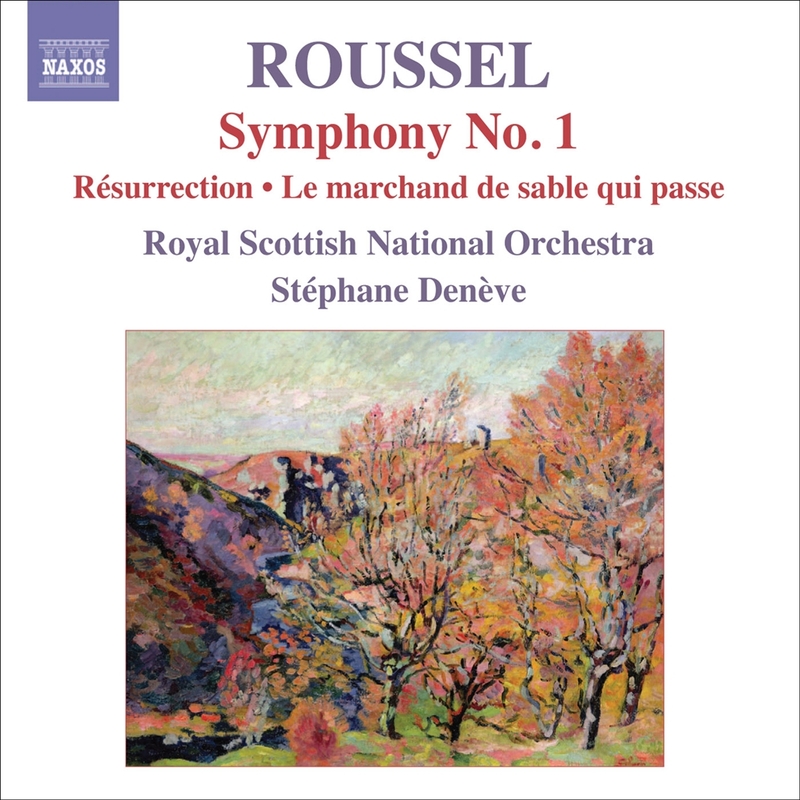 This is a fine performance by the RSNO and Denève, with their warm-toned playing capturing the big moments splendidly while still finding the right colours for those shadowy glimpses of a forest glade…the booklet contains an excellent introductory essay.